Ratan Tata said e-commerce is one of the areas where is he looking to personally invest because of its "good potential" as a large proportion of the country's consuming public do not have the required access to goods. 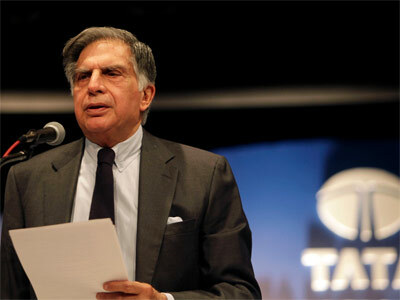 KOLKATA: Tata Sons Chairman Emeritus Ratan Tata on Wednesday said e-commerce is one of the areas where is he looking to personally invest because of its "good potential" as a large proportion of the country's consuming public do not have the required access to goods. Tata, however, refused to comment specifically about any investments in e-retalier Snapdeal. He said, "I do not think it is fair to comment on that." "I plan to do personal investments and looking into a variety of areas to do that and e-commerce is one of them," he said. The $3 billion Indian e-commerce market is witnessing aggressive competition from global giants as well as home-grown players. Led by increasing Internet penetration and youngsters shopping online, India's e-commerce market has seen huge growth in the past few years. Tata said that given the country's large consuming public, people do not have the required access to goods. "But e-retailing today is one of the hottest form of marketing and has a good potential in the country as 500 to 600 million people of the country are the consuming public", he said. Last month, e-commerce giant Amazon said it will invest $2 billion in the country to grow the business in a market that is dominated by homegrown players like Flipkart and Snapdeal. The US-based firm's announcement came less than 24 hours after rival Flipkart announced raising a whopping $1 billion funding, the largest in the e-commerce space in India.